The Glasgow Community Cycling Network is a consortium of community cycling projects working together to create a range of resources, training opportunities, events and information to encourage more people to cycle more often. 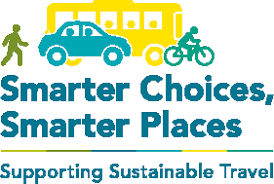 The group is dedicated to supporting people of all ages and abilities from Glasgow communities in behavioural change relating to their travel by increasing levels of cycling for recreation, utility, health and commuting. The consortium was established in April 2016, funded by Glasgow City Council through the Paths For All ‘Smarter Choices, Smarter Places’ funding stream and is currently composed of Bike for Good, South West Community Cycles, Play Together on Pedals, Free Wheel North and Dumbarton Road Corridor Environment Trust; Soul Riders participated in the GCCN between 2016-18. For information about the progress of the GCCN during 2016/17, you can read this report.